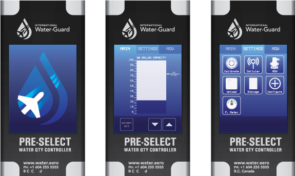 New intelligent Water Quantity Pre-Select System for Boeing 737-600 / 700 / 800 family aircraft. The system enables airline flight crews to accurately control the amount of water loaded into the aircraft, in 5% increments, to reduce innecessary weight and therefore save fuel. It also records the amount of water used on each flight, informing airlines’ future level-setting by city pairings with corresponding data. An additional benefit on this patent-pending Pre-Select System is that it requires no changes to operations for the ground crew, and minimal, intuitive training for flight crews. It has an optional GSM with SIM card module that can be enabled to extract the data, and potential for Bluetooth if preferred. 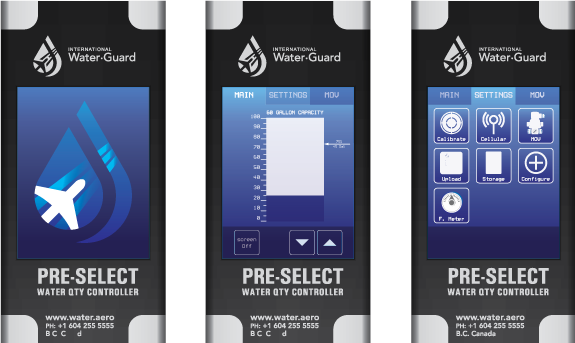 View the Electronic Water Quantity Pre-Select System Contact us directly to learn more.